Alexander Petrov and Ruslan Boshirov, two suspected members of Russian military intelligence, are accused of trying to kill former Russian spy Skripal and his daughter with the Novichok nerve agent in March. President Vladimir Putin said on Wednesday that Russia has identified the two men that Britain named as suspects in the poisoning of a former Russian spy, and that there was “nothing criminal” about them. Britain last week charged two alleged agents of Russia’s military intelligence agency in absentia with the poisoning of former Russian spy Sergei Skripal and his daughter Yulia. British authorities have issued arrest warrants for Alexander Petrov and Ruslan Boshirov, the two suspected members of Russian military intelligence, the GRU. Britain blames the Russian government for the attack, a claim that Moscow has strongly denied. 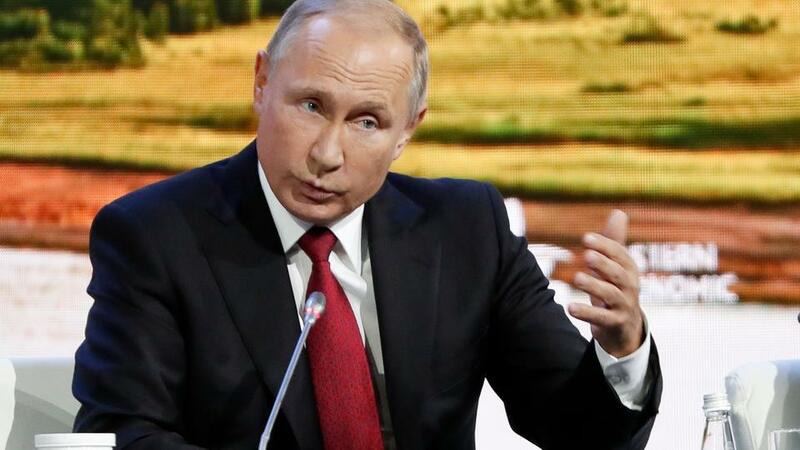 Speaking at a panel of an economic conference in Russia’s far eastern city of Vladivostok, Putin insisted they did not work for the military. Asked by the panel’s moderator if the men worked for the military, Putin replied that they were “civilians” and called on the men to come forward. TRT World’s Dan Ashby has more from Moscow. After the Skripals were poisoned on March 4, Britain and more than two dozen other countries expelled a total of 150 Russian spies working under diplomatic cover. Russia kicked out a similar number of those countries’ envoys.